The Healing Channel: Is Coral Castle a Link to the Ancient Egyptian Pyramids? Is Coral Castle a Link to the Ancient Egyptian Pyramids? The lost science of the Ancient Pyramids was discovered by a modern day man, Ed Leedskalnin who single handedly built a limestone castle for his sweetheart. Today, Coral Castle sits at the edge of the Florida Everglades, ready to withstand any hurricane. Built in the early 1920s for Ed Leedskalnin's sweetheart, Agnes Scuffs, this masterpiece has been compared to the Great Pyramids because of the precise stone cutting, fitting, and the size and weight of the stones that were used to create the castle. Leedskalnin claims the library was the source of the "lost" construction methods that were used to create the pyramids and the Coral Castle. Before Leedskalnin was born, his mother visited a psychic named Madame Drusa. She predicted a son was to be born in late March, 30 days early and he would have a restless spirit. Furthermore, she saw that he was once a resident of Atlantis as a sculptor and this lifetime would astound the world, bringing back an ancient lost science used in the Great Pyramids. Born 1887, in Riga, Latvia, he left not long after his 26th birthday. The day before Leedskalnin was to be married, his fiance’ called off their wedding and wouldn’t tell him why. Heartbroken, Leedskalnin eventually landed in Florida City, Florida and purchased an acre of land for $12. Here, he started building a dream home for his sweetheart, known today as Coral Castle. With only a shovel, wheelbarrow with no body, small block and tackle and truck springs that he sharpened into wedges, Leedskalnin spent his nights moving up to 30 tons of rock to create the castle walls. Weighing a mere 100 pounds and 5 feet tall, he would only say he knew the secrets to building the ancient pyramids and if he could learn them, others could master these techniques too. It's said that Leedskalnin worked alone. Nobody ever saw him work, if anyone came upon him, he seemed to have a sixth sense of being watched and immediately stopped working. Leedskalnin says he healed himself of tuberculosis through a device called a “Megatron,” which operated like a battery charger for the body. He placed a magnet inside a wooden pyramid wrapped with copper wire. Every afternoon from 1:00 p.m. to 3:00 p.m., he sunbathed on his back, wearing dark blue sunglasses repeating the mantra his grandfather shared about the essentials of happiness: "Something to do, something to love and something to hope for." According to Leedskalnin, he tapped into a power energy source he called "Magneticity." He thought that was what electricity should be called, arguing that it's actually nothing but magnets. He had hoped to provide the whole world with free clean energy. Many more surreal accounts surround the saga of Coral Castle and as with other lost civilizations like Stonehenge, the Egyptian Sphinx, and the Great Pyramids, a mystery remains. Several years later, still alone but not dejected, Leedskalnin moved his entire castle, piece by piece, ten miles north to its current location in Homestead, Florida. 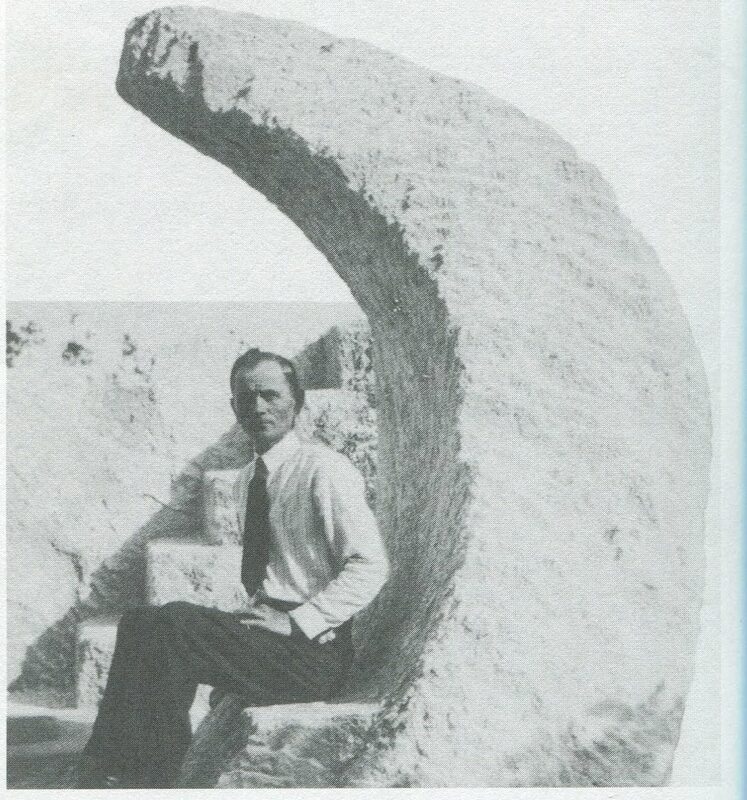 Even though he claimed he built for love, why did he design Coral Castle to be a polaris, star-aligned astronomical observatory, out of 1,100 tons of coral; completely furnished with a sundial, 25 one-ton rocking chairs and a 9 ton swinging gate? In 1951, Leedskalnin died and left quite a legacy. However, in 1984, his work of art received recognition and was added the National Register of Historic Places. Therefore, the question is, will the secret of this lost science surface again in a future generation?